Can home CCTV be used in court? The short answer is yes, but in order for it to be practical you do need to ensure that you have a system that is capable of providing the images which are sufficiently clear for identification purposes. It is no good having a cheap system where the images are fuzzy – the Police will not entertain them. High-quality images are needed if CCTV footage is to be used as evidence in court. For the best detail a high resolution camera is required, which can be expensive. 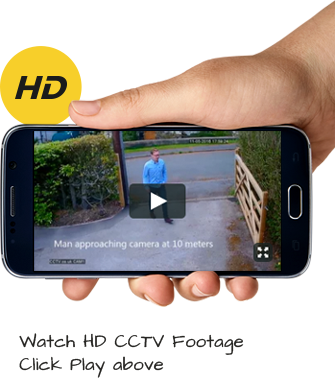 CCTV footage can be very useful as evidence in this respect, but you do need to ensure that you have the right equipment that will give you images in high resolution, and in the right light and that is something you must consider when setting up your system. NOTE: If you want to identify someone in court, the minimum standard is that the subject should be no less than 120% of the screen. All arrangements were made systematically by email. Everything was scheduled in advance – delivery of equipment on a particular date and installation on a subsequent date – and happened as scheduled. The price quoted detailed exactly what came with it and additional costs if requirements exceeded standard specifications. Good post installation follow up as well.